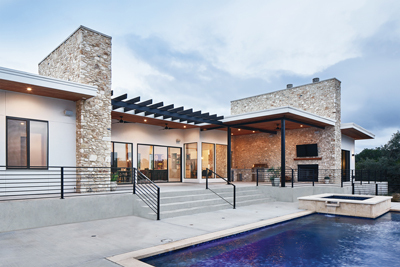 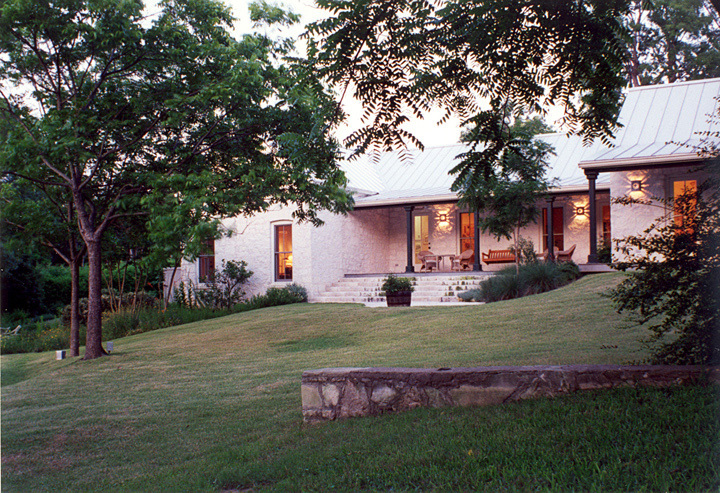 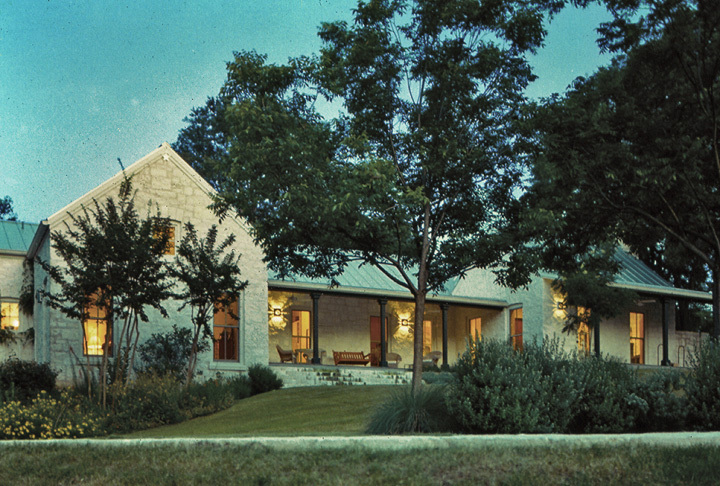 The Texas Hill Country German vernacular is referenced in this design’s keen respect for scale featuring a high-pitched standing-seam metal roof, stone walls, outside chimney, deep porches and thick walls. 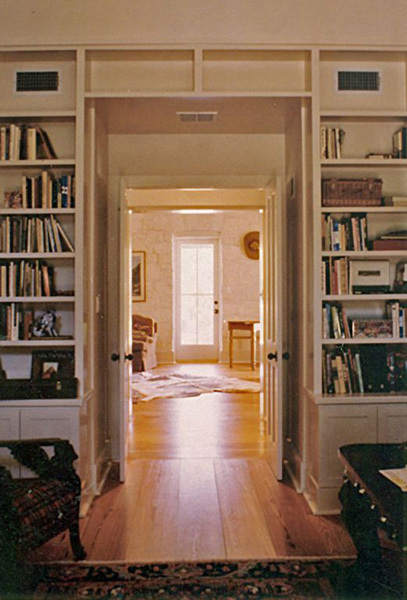 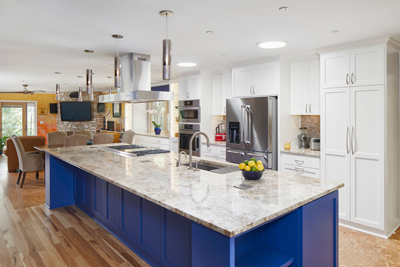 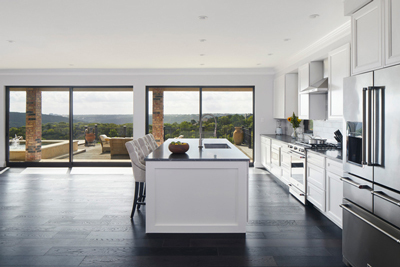 A deliberate separation of the house’s mass reduces the apparent scale of the house and evokes the image of a settler’s home sympathetically expanded over time. 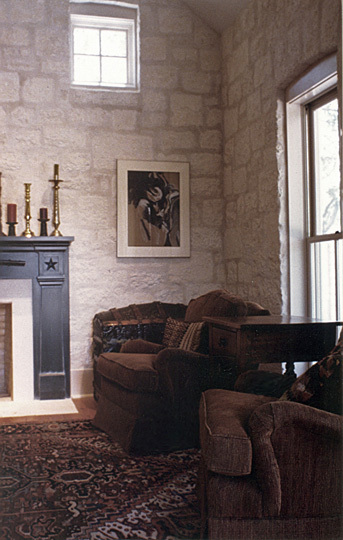 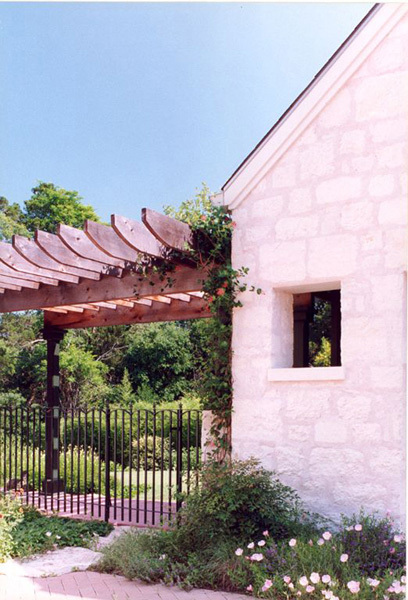 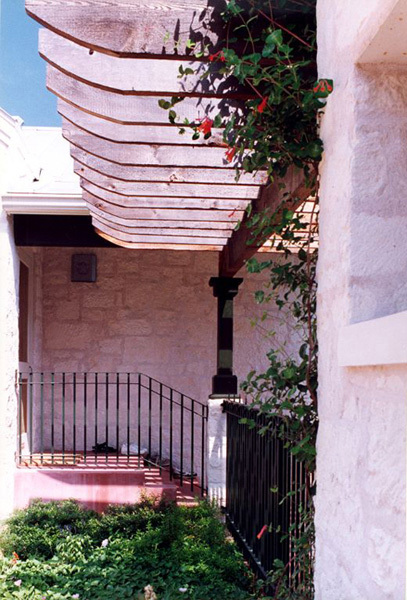 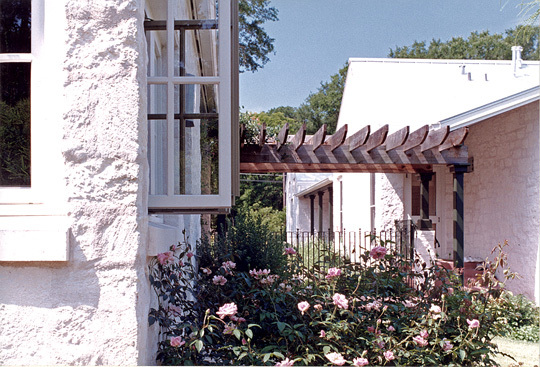 The stone work was mortared using a technique once common to houses in the San Antonio and Fredericksburg regions where the stones and mortar appear to be placed randomly. 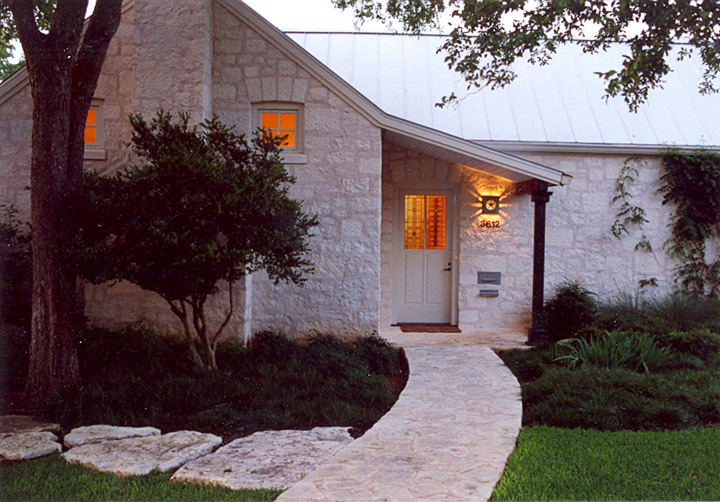 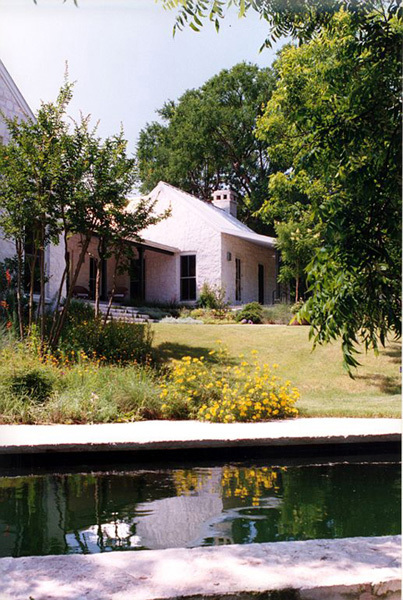 The landscape design incorporated native Texas grasses, flowers and shrubs.